In the last twelve months, Brown has overseen a heavy restructuring of McLaren’s F1 team, with changes undertaken on both the management and engineering fronts. 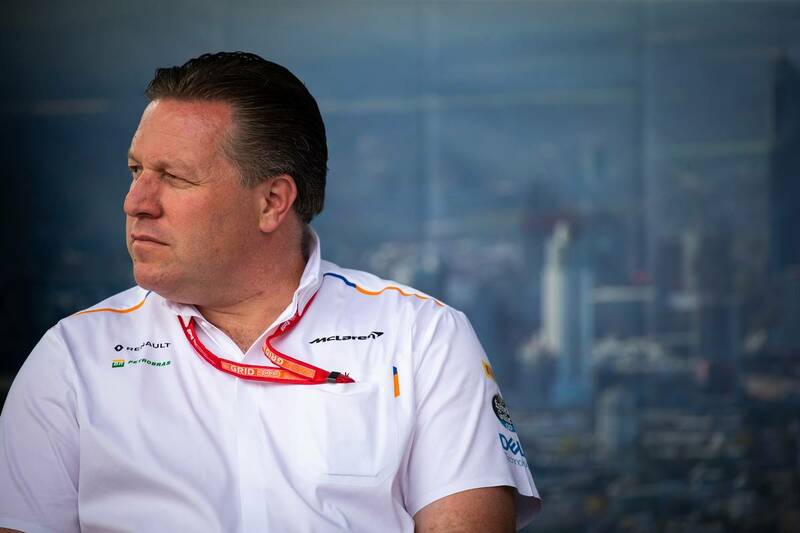 With McLaren’s F1 foundation now consolidated and next month’s Indy 500 effort on its rails, Brown can afford to devote more time to future projects, with a full-time involvement in IndyCar among the executive’s priorities. “I think Mark Miles and team have done an excellent job. The racing is outstanding – great teams, great drivers, great venues. So it’s a place that McLaren would like to race. “We’ve been very focused on Formula 1, and we remain very focused on Formula 1, but I’ve now completed the hiring of the balance of the leadership for the Formula 1 team now that James Key has started as technical director and Andreas Seidl is the managing director of the Formula 1 team. “He’ll join next month, and we really needed to get that completed. Brown says his IndyCar endeavor has the full backing of McLaren’s investors, but the American executive underlined the importance of a move happening at the right time relative to Formula 1. “I need to be convinced over the timing of the move,” Brown told Motorsport.com. “I’m certainly convinced we should be in IndyCar, but I need to make sure that we’re happy with where we are in Formula 1. “We had a good off-season and a good first couple of races, but it is only a couple of races. “This weekend [in China] has not been a great weekend so far, but we knew it would be that way with how close the midfield is packed. “But the shareholders are very supportive of going IndyCar racing. It’s more a question of when than if, and that will be a collective decision. “If we were to do it for 2020, I think we’d need to make that decision in the summer in order to be properly prepared. The post Brown: McLaren full-time IndyCar presence is backed by shareholders appeared first on F1i.com.